The Mornington Peninsula was perfect for us… beautiful gardens, rustic barn, gorgeous cottage and a lake which gave us a beautiful setting for the day and wedding photos. It had everything we were looking for in one venue. 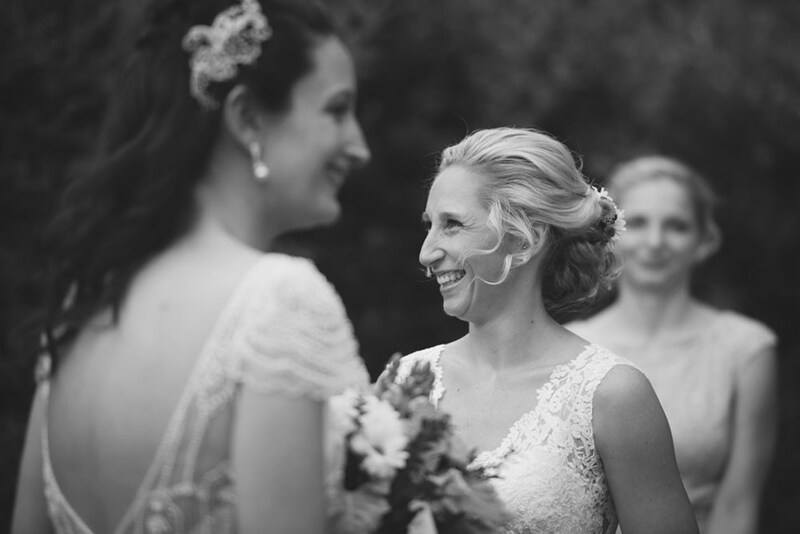 Belinda: The moment of anticipation just before I turned the corner to see my beautiful bride for the first time. As soon as I saw Louise and the massive smile on her face I just couldn’t get to her quick enough. The amount of joy and excitement I felt that we were able to make this commitment to each other far exceeded anything I could have imagined. Louise: Getting to dance with Belinda on a packed dance floor filled with family and friends. This was the first time all the people we loved most in the world came together as my family is from Scotland. All the love, joy and fun made it just perfect.